Wesley Motorsports has announced that they will campaign a 2018 Dodge Challenger SRT Hellcat Widebody production-based race car in a variety of road racing series this year, with Bilstein providing support as the 707-horsepower Mopar muscle car takes on the likes of the Pikes Peak Hill Climb and the GRIDLIFE series. While the Dodge Challenger SRT Hellcat is one of the most dominant production road cars ever in the world of drag racing, the new Widebody version offers fantastic road-handling abilities. 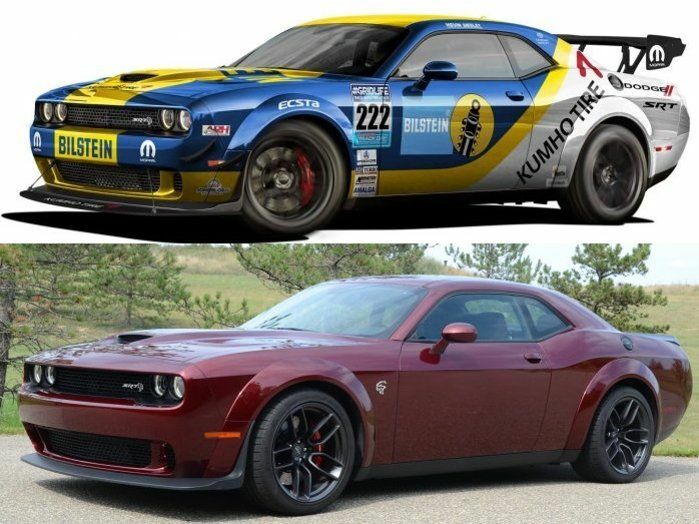 To showcase the handling of the new Hellcat Challenger Widebody, Wesley Motorsports is going road racing with a lightly modified version with help from Bilstein, competing in the GRIDLIFE series, the Pikes Peak Hill Climb and other time attack-type road racing events around the country. “The Challenger SRT Hellcat Widebody is an amazing platform that handles unbelievably well,” says Wesley. “Throw in a massive amount of supercharged horsepower and it's a great recipe for Hill Climb and Time Attack competitions." The Wesley Motorsports, Bilstein-sponsored 2018 Dodge Challenger SRT Hellcat Widebody race car is based on a standard production version of the road car sold at your local dealership, but the team has made the changes permitted of production-based racing rules. Under the hood, the 6.2L Hemi has been upfitted with American Racing Headers that feed into 3-inch exhaust, an ATI lower pulley and an E85, lifting the output into the area of 850 horsepower. That power is sent to the 3-piece racing wheels via the standard 8-speed automatic transmission and a carbon fiber driveshaft, with 355/30/19 Kumho V720 tires from the Viper ACR putting the power to the ground (the same tires are used up front). Behind the race wheels is a Viper ACR Brembo calipers up front and the standard Hellcat setup in the rear, with stock rotors all around. The only change to the suspension system is the upgrade to Bilstein MDS double adjustable dampers, but the Viper ACR Extreme rear wing and front splitter improve handling with gobs of extra downforce. Finally, the interior has the required roll cage and a lightweight driver’s seat with a racing safety harness. Other safety features include a 22-gallon fuel cell with dual fuel pumps to feed the hungry Hemi. The dry weight of this Hellcat Challenger Widebody is 3,950 pounds, so the team has cut a few hundred pounds in the race car conversion. For comparison, we have included a shot of the production car with the race car. The Wesley Bilstein Dodge Challenger SRT Hellcat Widebody begins its season today at the GRIDLIFE event at Mid-Ohio Raceway and that event runs through the weekend. Pikes Peak comes in June, with a few practice sessions ahead of the actual event in mid-June.